The Sound 4USB studio are part of the Sound series from Stageline. With the 2-way active systems and the subwoofers of the SOUND series, efficient speakers with a powerful sound are available in different sizes and with different features. The Sound 4USB studio are part of the Sound series from Stagelin. With the 2-way active systems and the subwoofers of the SOUND series, efficient speakers with a powerful sound are available in different sizes and with different features. They are set up in a high-quality bass-reflex MDF cabinet and feature speakers with magnetic shielding. 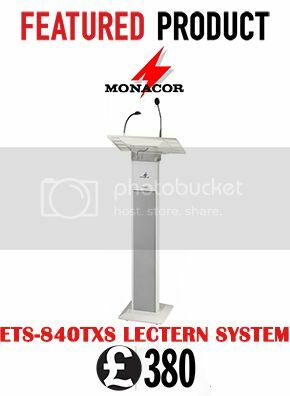 The speaker systems are ideally suited as active HiFi speaker systems, high-end PC speakers and for small PA applications requiring a powerful sound, e.g. media presentations.